B0932. JOSE MOJICA. I, a Sinner (Yo Pecador) [Autobiography]. Chicago, Franciscan Herald Press, 1963. 393pp. Photos; DJ. 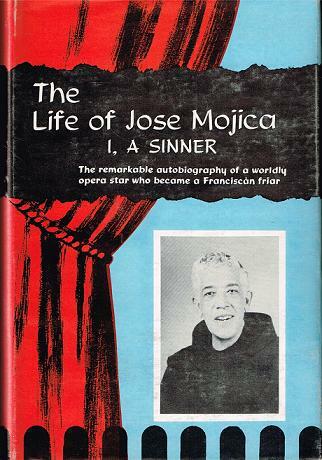 Autobiography by the celebrated matinee idol, closely associated with Mary Garden, (with whom he enjoyed publicity of a reputed affair), who subsequently became a Franciscan. 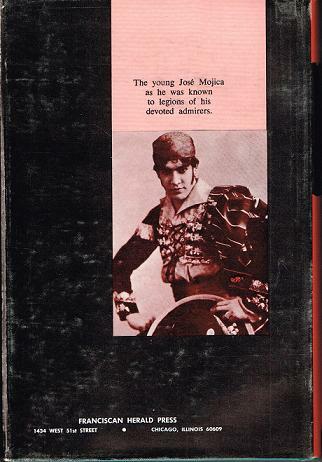 "Mexican tenor José Mojica is simply one of the most sumptuous, stylishly deployed tenor voices in history."